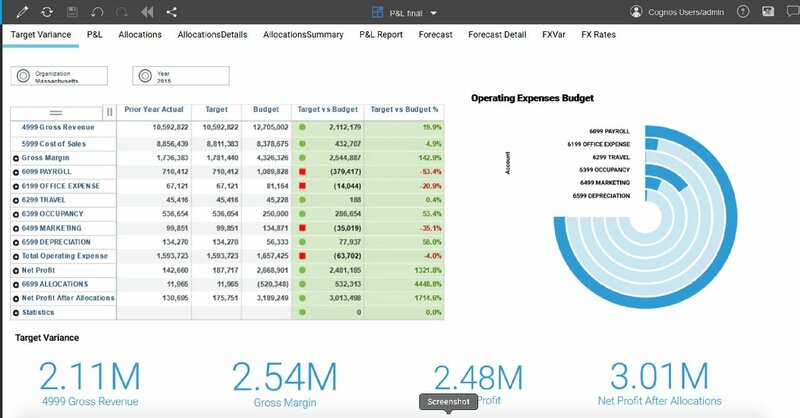 Are you asking yourself if it is possible to build a model directly in IBM Planning Analytics Workspace? There is a great effort by IBM to centralize model development and reporting in one space. As you may know, IBM Planning Analytics comes with different tools such as Architect and Performance Modeler(PM) that allow you to build models. You also may know that at times new customers have experienced confusion as to which tools to use to build and manage models. Traditionally, we have recommended Architect to build and manage and PM to build and manage the planning application front end. This has worked in the past, specially when the clients get acclimated to the different tools that are available. However, we are in the age of cloud and SAAS applications that allow the modeler to build and manage planning applications in one centralized tool on the web. This is a very attractive option for customers for the obvious reasons and we are not going to discuss the benefits of a cloud-based planning system since we are all aware of them. So, to get to this centralized planning application space, IBM introduced PA cloud a few years ago which has been a great success. Now, IBM is bringing all the modelling capabilities in Planning Analytics Workspace. This will eliminate the need for multiple clients and tool sets to build and manage models. Read below for the capabilities of today and the hope for the future. Using a TI process, you can create dimensions and cubes using all the available data sources that are available in Architect. One of the data sources is text file and you can drag and drop files right in a PAW tile and you are allowed to map all the columns. Dimensions and cube build through TI is still a bit complex for new users and it requires training and practice to build them. If IBM adds a guided / GUI based dimension and cube builder with the power of free from scripting that would be extremely powerful. This would go a long way to helping new users that are not well versed in TI coding to start modelling quicker and have environments up and running a lot faster. Now let’s talk about the items that we would like IBM to add to PAW. Let's hope that these will part of future releases. Another thing that would be nice in PAW would be some help related videos and or visuals that assist a new user in navigating workspace. There are many videos available out side PAW but nothing that is in workspace itself. Are you ready to purchase the workspace add on? Contact us at sales@lodestarsolutions.com to schedule a quick call to review your situation and receive a quote for the workspace add on if you do not already own!